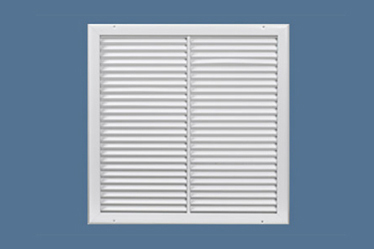 Series AVP, square or rectangular, is manufactured in 3" increments with removable core also available as combination supply-return for use with roof-top units. Series JS, square only, has a fixed core. 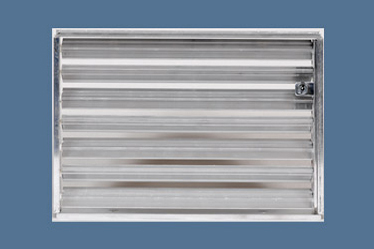 An optional mill finish extruded aluminum opposed blade damper mounts through a series of spring clips, and is lever operated from the face of the unit. The damper frame is separated from the blades with nylon bushings. 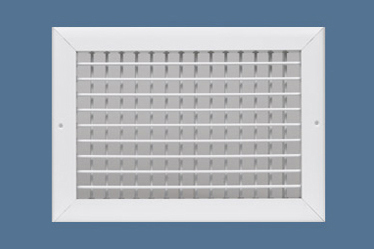 Other accessories include aluminum equalizing grid or combination grid and straightener with individually adjustable air foil blades separated from the frame with nylon bushings. 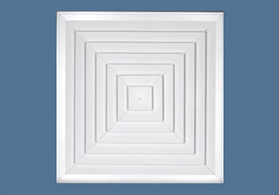 Steel square-to-round adaptors are also available. Available in clear anodized, white or a variety of custom painted colors. 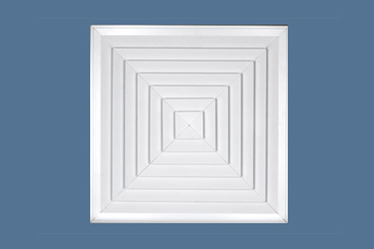 Series RD round ceiling with removable core all aluminum construction. 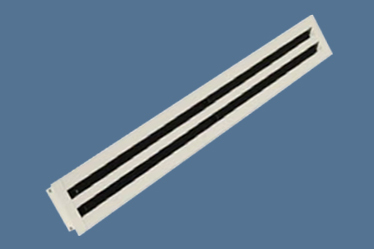 An optional round opposed blade damper is available. 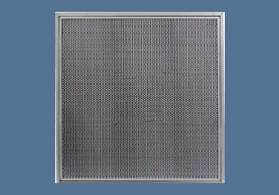 An extruded aluminum outer frame retaining the removable aluminum perforated face with 3/16" diameter holes on 1/4" staggered centers. A series of spring clips that are totally concealed retain the face. Four individual field-adjustable pattern controllers rotate for every conceivable air pattern requirement. 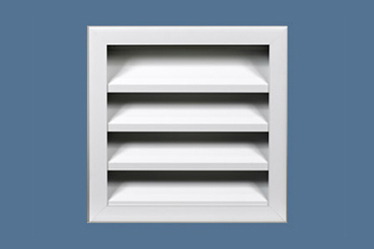 Units with 12" and smaller faces have a disc pattern controller. All internal portions of the diffuser are non-reflective. 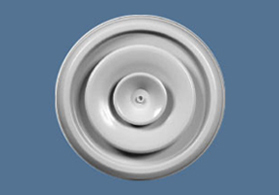 A galvanized steel back is utilized with either a spun round neck or a square neck riveted to it.